Long ago I was scared of the sea. But, a timecapsule from a legendary fisherman named Ahab challenged me to live up to his legacy and snag the biggest reaper I could. Now I pass his legacy on to you. Take up the name, Ahab. Take these tools the legend gave me. 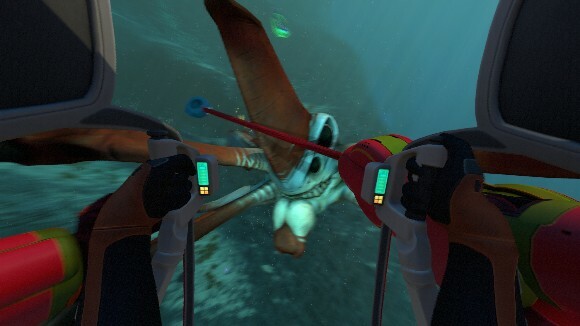 And some find me on reddit.com/r/subnautica.